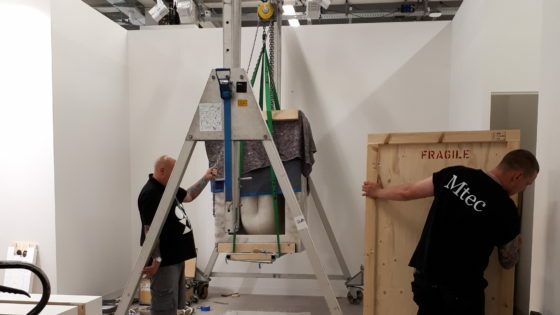 Basel 2017 proved to be an extremely busy one for Mtec; handling outgoing shipments, installation and de-installation of works and both return and ongoing shipments from the booths at Art Basel and Unlimited. As always it was a pleasure working with artists and galleries that we already have longstanding relationships with as well as meeting those whom we hope to work more closely with in the future. This year Carola Quirico from our Shipping Department was at the fair until the take-down and personally oversaw operations including the handling of a number of urgent and last-minute shipments for galleries who wish to add or change the inventory of their stands. Overall, the fair was a major success for us logistically, and we look forward to expanding our client base and services for Basel 2018, as well as continuing our work at the other major fairs throughout the Art World calendar. Following the development’s we featured in last month’s blog, our Shipping department has been planning ahead for the next quarter and utilising the new resources and processes put in place by the expanded team. February has been just as busy as January with shipments travelling by air and see to artfairs in Hong Kong, Mexico, Geneva, New York and Dubai, as well as various large scale projects. March sees consolidated shipments leaving for Hong Kong, and Sao Paulo. Both destinations are via art truck to Europe for direct main deck service with airport supervision. Looking further ahead, as well as our dedicated Shipping Mailouts (which you can subscribe to here) we will be sending quarterly Artfair Updates which will give our clients and partners a heads-up for consolidated shipments leaving for Artfairs across the globe. 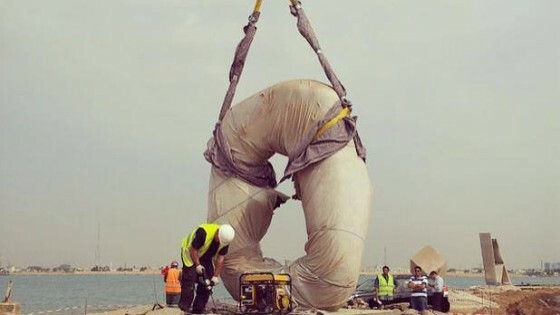 This will give our customers a chance to utilize competitive transport options as well as book our experienced technicians for on-site installation assistance and project management at the fairs. The first of these updates will be sent out later this month where we will be focusing on consolidated shipments to Frieze NY, Miart and ArtBasel.